Hello everyone! This is Deepti Stephens and I hope you are doing good! 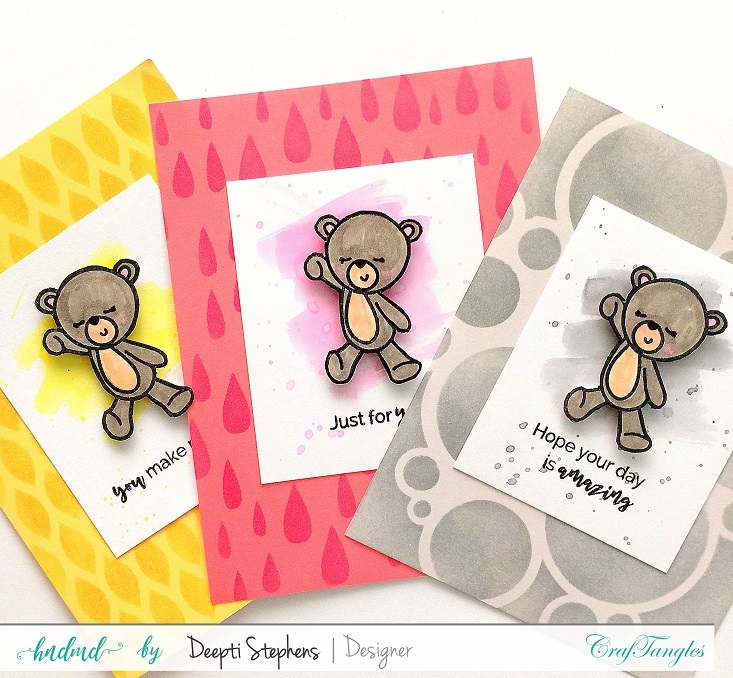 Today, I have a trio of cute cards with Tone on Tone Backgrounds achieved with the help of colored card stock, inks and stencils. So, let's get started! I am very fond of cute images but I seldom use colored card stocks. So I challenged myself to try my hands at it. I started by placing a stencil over the colored card stock panel and applied the ink through it that matches the color of the card stock. Then I took another small white panel and water colored a bit. Then I partially stamped the image from Hello Baby and Copic colored it. Over the smaller panel, I stamped sentiment from Everyday Sentiments. And then popped the cute image on top of the panel. Here I used Yellow Card Stock, Fish Net Stencil and Spiced Marmalade Distress Ink. On this grey card stock, I placed Abstract Circles Stencil and applied London Fog Ink through it. On this Pink card stock, I placed Rain Drops Stencil and applied Picked Raspberry Distress Ink through it. 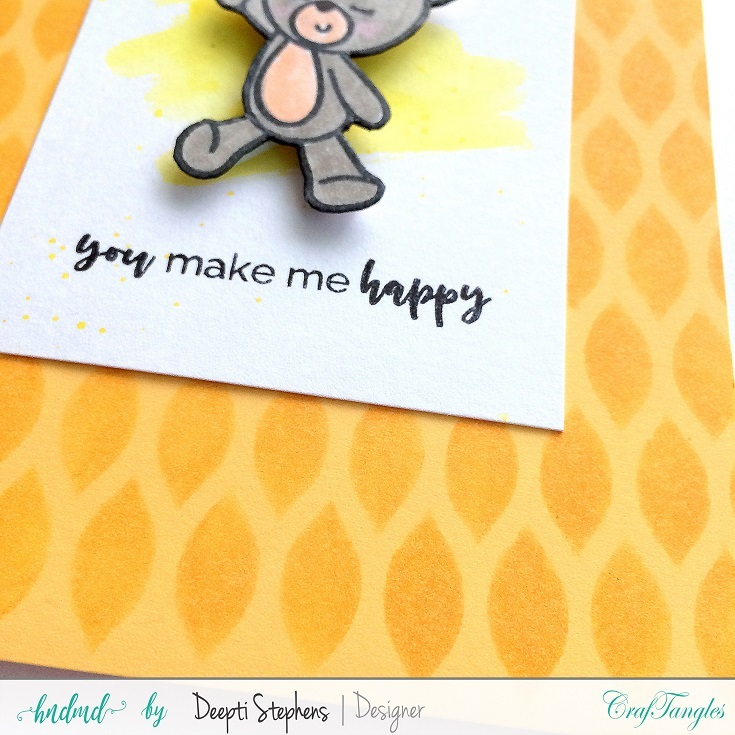 I love ved the tone-on-tone backgrounds with stencil Deepti ! Adorable cards.